Parts For Folders LLC - Parts & Accessories! 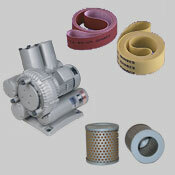 We can supply a large range of parts & accessories for most makes and models of paper folding equipment. 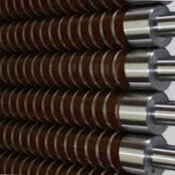 Our OEM alternative rollers are the best in the business and are made to order. They take approximately three weeks to produce. 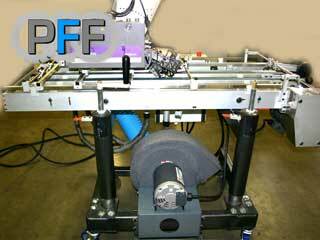 They are economically priced less expensive than any other rollers on the market. 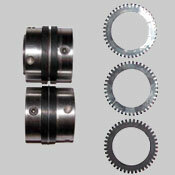 All rollers come with bearings and will integrate seamlessly with your equipment. This includes perforators, knives, scores, edge trims, center bleeds and all other accessories. Check out our latest parts specials or featured accessories listed below. All parts & accessories listed on this page is subject to change without notification. Prices shown are in USD. MBO KFW26 mini folder parts. Description: MBO KFW26 mini folder parts. 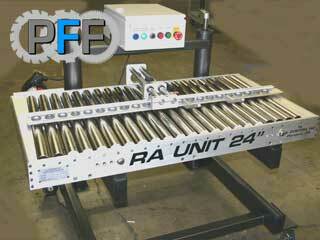 6 x fold rollers, 4 x buckle plates, roller hangers, handwheel pulley assembly, 2 x plate-out deflectors. Contact us for price and more information. Description: The Greeting Card Device eliminates curls and wrinkles from your card stock. Currently available for the MBO B118, T49, B21, B123, B26, B30 and Perfection Series folders. The kit includes 4 deflectors that are specially designed to stop the stock from traveling through the entire roller bank. Other models can be manufactured on request. 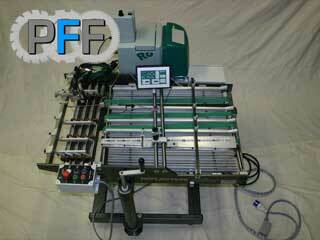 Description: Extra Wide knife and perforator holders for that SPECIAL job. We can manufacture custom holders to any pull-out perforator shaft size. The width between shoulders will be to your specifications to accommodate the smallest product so you may trim, perforate and slit multiple up. 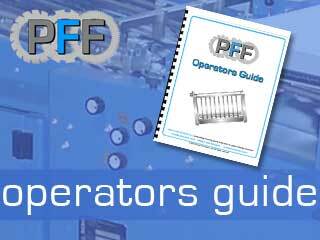 Description: Parts For Folders offers you the "Operators Guide" 50 plus years of paper folding experience packed into over 40 pages of useful folding information to help you setup, operate and troubleshoot your folding equipment in the least amount of time with increased productivity. Written by Dave Trutzenbach a leading authority in folding and recognized for his knowledge and expertise all over the world. Get FREE shipping within the US for a limited time. 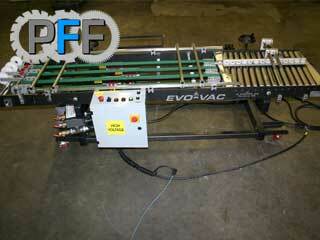 Description: Ionix Static Eliminators for folders and bindery equipment. All parts listed on this page are subject to change without notification. Prices shown are in USD. JL CUSTOM 24" wide RA unit. 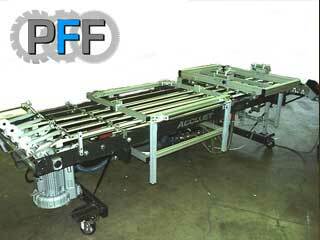 Description: The JL CUSTOM 24" wide right angle unit is designed to transfer a product at 90 degrees from the flow or as a jump transfer from one machine to a 2nd operation machine Width: 24" inside to inside. Length: 48" overall. Height: Min. 26". Max. 32". Power: 110VAC or 220 single phase. Motor: 90VDC or 180VDC. CONTROL POWER 24VDC WITH NO INTERGRATION. HEAVY DUTY CHASSIS CONSTRUCTION. 2 X 4 SQ TUBING WITH HEAVY DUTY TOWERS. ROLLERS ARE OD GROUND AND NICKEL PLATED. STEEL AND PLASTIC MARBLES. FULL ADJUSTABLE GUIDE WITH TILT. SWIVEL CASTERS (TWO WITH LOCKS). Description: The JL CUSTOM Encore is a tipping & variable plow-folding machine. Width: 30". Length: 8'. Weight: 700LBS. Height: Min. 30" Max. 36". Speed: Max. 150 meter per min. Power: 3 phase, 220V 10AMP. Motor: AC inverter drive 24VDC. HEAVY DUTY STEEL FRAME. SWIVEL CASTERS WITH LOCKS. HIGH VOLUME BLOWER. COGGED BELT DRIVE. THREE VACUUM BELTS 2.5" THREE VACUUM CHAMBERS ADJUSTABLE. SELF POWERED NON INTEGRATED CONTROLS. HEIGHT LIFT- REMOVABLE MOUNTED HANDLE. Description: JL CUSTOM Delivery Table. Width Total: 36" Width Inside Tray: 27.5" Height with Tray Level: 30" to 38" Length Overall: 45" Table Neck is Adjustable. Total of (5) Belts Standard. Total of (4) Pull-Out Wheels. Delivery tray 15" length. Swivel Casters. Speed Adjustable. UL Approved Electrical Controls. Total of (2) Magnetic Paper Stops. Description: JL CUSTOM Accujet. Width: 32". Sheet Size: Minimum: 5" X 5.5" Maximum: 30" W X 30" L. Height: Minimum 30.0" Maximum 40.0. Length: 12'. Power: 3phase 220V 30 amp. Motor: AC inverted 24 VDC Control. 36" Multiple Belt Assembly with Marble Track. Micro Adjustment for Marble Track Guide. Four 1.75" Wide Perforated Kevlar Belts. Plasma Coated High Temp Plenum. Vacuum Rows Individually Controlled. Ink Jet Stands for Overhead or Inverted. Swivel Lock and Position Lock Casters. Dryer Bracketry for Top or Bottom. UL Listed and Approved Electrical Components. Inverter Drive Motor. Rietschle Regenerative Blower. Available with Remote Operator Console. Variable Position Register Section (height & tilt). Description: JL CUSTOM Reflection. WIDTH:32.0 Sheet: Minimum 5" 5.5". HEIGHT: Minimum 31.0" Maximum 31" x 30"L. Length. POWER: 3 PHASE, 220V 10 AMP. AIR Required: 80PSI, 1.0Cfm. MOTOR: AC INVERTER DRIVE 24VDC CONTROLS. 36" MULTIPLE BELTS ASSY WITH MARBLE TRACK. MICRO ADJUSTMENT FOR MARBLE TRACK GUIDE. FOUR (4) ANVIL ROLLERS. 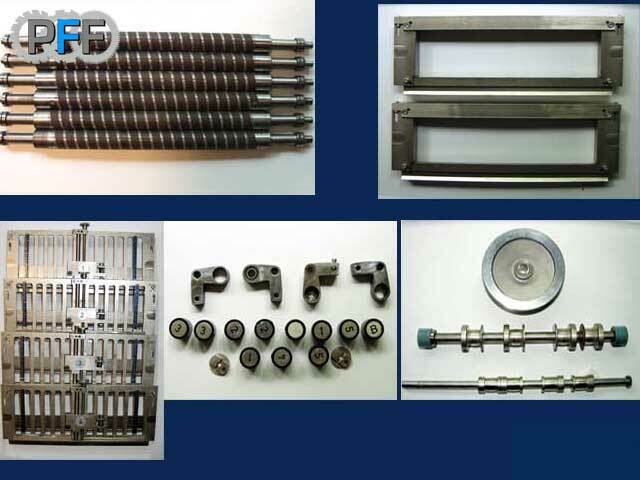 FOUR (4) CONTROL ROLLER ASSY. FLAT TRANSMISSION BELT DRIVE. SWIVEL LOCK AND POSITION LOCK CASTERS. STAINLESS STEEL GUARDS. UL LISTED AND APPROVED ELECTRICAL COMPONETS. HEAVY DUTY STEEL FRAME. MACHINE IS EQUIPPED WITH SIMPLE STAND ALONE ELECTRICAL ENCLOSURE (JL CUSTOM NICO4). CAN BE UPGRADED FOR MBO INTEGRATION. CAN USE ANY MAJOR GLUER MANUFACTURERS. JL CUSTOM EVO - VAC. Description: JL CUSTOM EVO - VAC. WIDTH: 24". LENGTH: 8'6". HEIGHT: Minimum 26" Maximum 33". SPEED: Maximum 150 Meters Per Min. POWER: 3 PHASE, 220V 10 AMP & 110V. MOTOR: AC INVERTER DRIVE 24VDC CONTROLS. THREE VACUUM BELT LINES 1.75" WIDE. SELF POWERED NON INTERGRATED CONTROLS. HIGH VOLUME BLOWER. COGGED BELT DRIVE. CRIB RAILS FOR FEEDER ATTACHMENT. 26" LONG REGISTER. JL CUSTOM Stubby (Tipping) Table. Description: JL CUSTOM Stubby (Tipping) Table. 24" OR 30" WIDE TABLE. WIDTH: 24" OR 30". LENGTH: 5' LONG. HEIGHT: Minimum 26" Maximum 33". SPEED: Maximum 150 Meters per min. POWER: 3 PHASE, 220V10 AMP & 110V. MOTOR: AC INVERTER DRIVE 24VDC CONTROLS. 24" WIDTH HAS TWO VACUUM BELT LINES 1.75" WIDE. 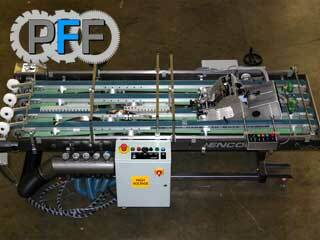 30" WIDTH HAS THREE VACUUM BELT LINES 1.75" WIDE. SELF POWERED NON INTEGRATED CONTROLS. CAN BE MBO INTEGRATED (24 PIN ONLY). HIGH VOLUME BLOWER. COGGED BELT DRIVE. CRIB RAILS FOR FEEDER ATTACHMENT. 1 CROSS BAR WITH 2 NIP WHEELS. A SHORT LENGTH TABLE FOR TIPPING OR PLOWING WHEN ADDITIONAL LENGTH IS NEEDED. All accessories listed on this page is subject to change without notification. Prices shown are in USD.